A CNN Money article highlighted two companies planning to launch investigations to the ISS National Lab later this year—Delta Faucet and Goodyear Tire & Rubber Co.
Delta Faucet will study water droplet formation, toward improving the company's shower head technology, and Goodyear will examine silica particle formation, toward production of better-performing tires. Commercial demand for space-based R&D is rising and companies are increasing investment in such research, signaling a growing economy in low Earth orbit. To support increased demand, a growing number of innovative commercial service providers are providing commercially operated facilities and enhanced capabilities on the ISS National Lab. 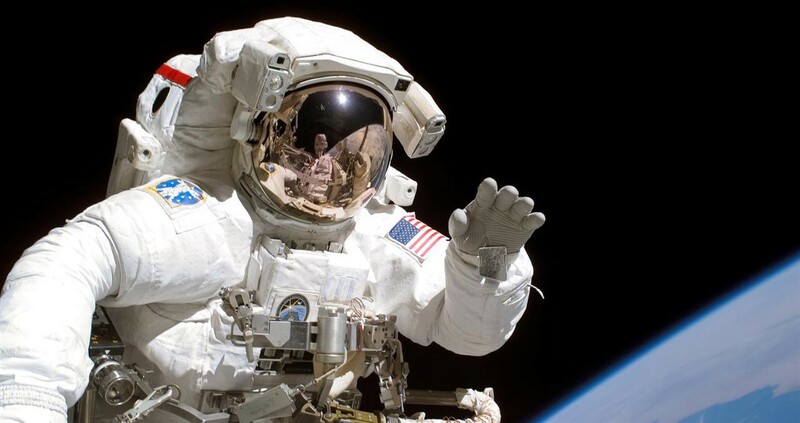 A CNN Money article this past weekend highlighted two major companies that recently announced plans to launch investigations to the International Space Station (ISS) National Lab later this year—Delta Faucet Company and Goodyear Tire & Rubber Company. Both companies announced their plans at the 2018 ISS Research and Development (R&D) Conference, held in San Francisco in late July. Delta Faucet and Goodyear are among the growing number of commercial entities recognizing the significant value in leveraging the unique platform of the ISS National Lab to advance R&D of products with commercial applications back on the ground. The rising commercial demand for space-based R&D and the increasing investment from commercial entities demonstrate growth toward a sustainable economy in low Earth orbit. Delta Faucet aims to utilize the ISS National Lab to evaluate water droplet formation, water flow, and water pressure to further improve their proprietary H2OKinetic® shower head technology. Compared with the industry-standard use of jet nozzles, Delta Faucet’s H2OKinetic® technology enables better control of water droplet size and increases the speed of the drops as they leave the shower head. Not only does the technology reduce the amount of water used, but the larger water droplet size and higher-speed of the drops results in a feeling of increased pressure and thus a more satisfying shower experience for the user. Gravity’s effects on water droplet formation size are not fully understood, and by examining droplet formation in microgravity, Delta Faucet hopes to gain a better understanding of what they might be able to achieve with their H2OKinetic® technology. Goodyear seeks to evaluate the formation of silica particles in microgravity, toward improving the performance of commercially available tires back on the ground. Examining particle formation in microgravity may reveal new molecular structures of silica, a key material used in the manufacturing of consumer tires. Improved silica morphologies for tire production could lead to significant improvements in fuel efficiency, traction, and other performance factors. This could result in tires that are both more reliable and better for the environment due to decreased emissions. Knowledge gained from this investigation could help Goodyear determine whether the company should consider further examination of new forms of silica for its tires. 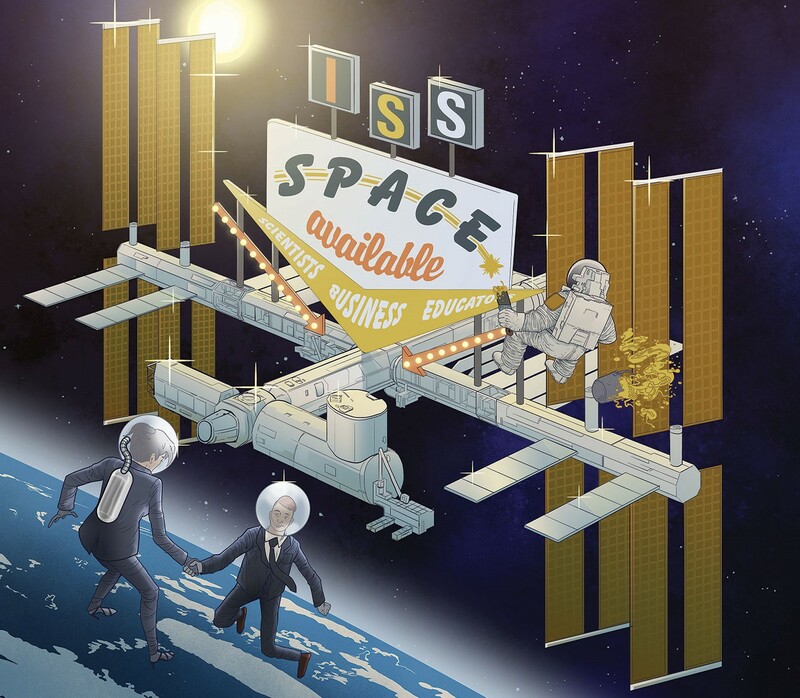 From innovative startups to Fortune 500 companies, the ISS National Lab is enabling increased commercial research in low Earth orbit. Of the payloads launched to the ISS National Lab in fiscal year 2017, more than half involved commercial entities. To support the increasing demand for space-based research and economic development in low Earth orbit, a growing community of commercial service providers are providing facilities and expanded capabilities onboard the space station. The ISS National Lab currently houses 14 commercially operated facilities managed by eight companies. Proctor & Gamble is doing colloid physics research on the ISS to improve foam and gel household products. Merck & Co. is using microgravity to grow a crystalline suspension of millions of tiny uniform crystals, toward improving the formulation of the company’s cancer immunotherapy drug, Keytruda®. 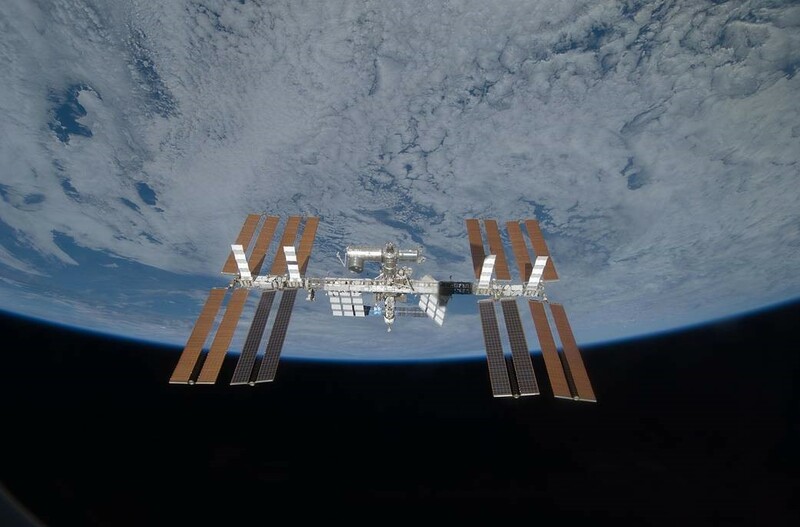 Eli Lilly & Co. is using the space station for several investigations looking at tissue wasting, protein crystallization for drug development, tablet dissolution, and lyophilization (freeze drying). Budweiser is examining barley seeds exposed to microgravity and studying barley germination on the space station, toward improving agricultural production of barley on the ground. Biotech company Angiex, Inc. is using the ISS to test a novel cancer treatment that targets cells lining the blood vessels to potentially treat 90% of cancers. Hewlett Packard Enterprise is conducting the first long-term demonstration onboard the ISS of supercomputing capabilities from a commercial off-the-shelf computer system. Made in Space is evaluating the production of ZBLAN optical fibers in microgravity, toward in-orbit manufacturing of high-quality optical fibers to improve data transmission back on Earth. 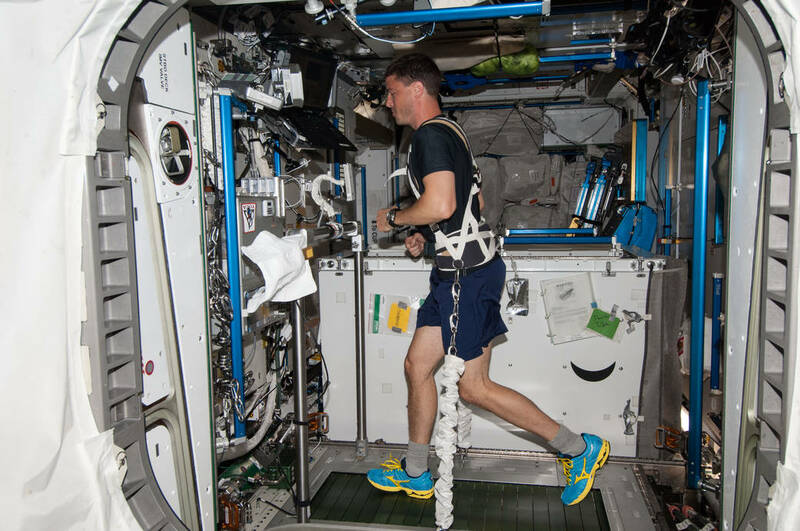 Synthetics company Ras Labs used the ISS to test their Synthetic Muscle™, an electroactive polymer-based product aimed at making prosthetics more lifelike.